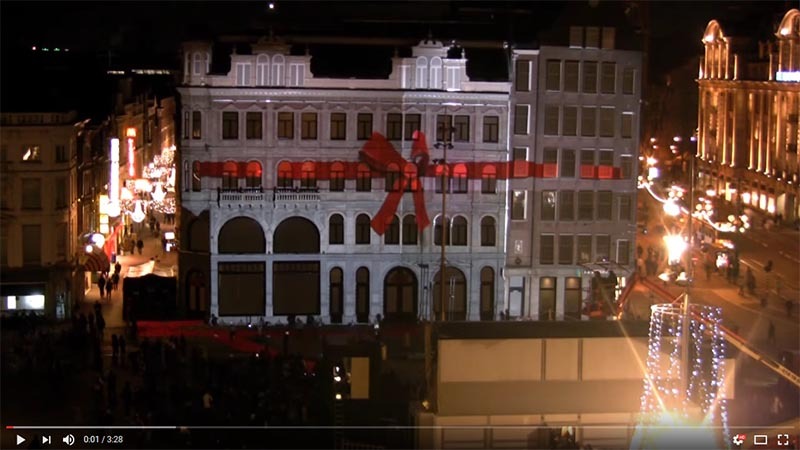 On 22, 23 & 24 November 2010, H&M brought their flagship store in Amsterdam to live with a 3D projection mapping on the historic building. For over 3 minutes, guests and a gathered crowd enjoyed a surreal fairytale of light and magical effects. A red ribbon, wrapped around the building, untangles and transformed the building into a colorful dollhouse where nothing is what it seems.